Unlike Africa, New Zealand doesn’t have large savannah plains teeming with exotic wildlife. 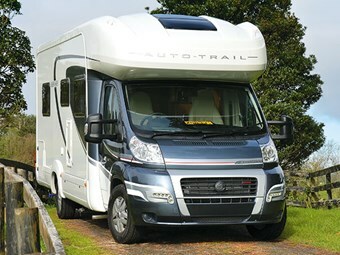 But if it did, Auto Trail’s 2013 Savannah would be the ideal game-viewing tourer because animals seem to gravitate to it. Call me fanciful, but even skittish horses feel at ease with the new Savannah. Well, that was my conclusion when, after pulling up in a country lane to take a few photos, a pair of steeds cantered over and began sniffing and examining the motorhome in detail. Maybe they hoped my pockets contained treats, but I prefer to think they recognised a kindred spirit — sleek, well-groomed, with heaps of get up and go. Sitting midway in Auto Trail's Frontier range, the Savannah measures 7.60m long by 2.35m wide and 3.03m high — the same as its Dakota sister. The two vehicles boast well-designed, roomy interiors with plush upholstery and quality fittings — and are pretty much identical but for the rear suite. Where the Dakota has an offset, fixed bed with a tapered end and the shower/toilet en suite tucked around the rear, the Savannah is equipped with two single beds (north-south), separated by an impressive wardrobe/locker console. It also divides the toilet and shower into separate units — forward of the beds. They're not quite as spacious as the Dakota's combo unit, but I like the large mirror with backlit LED lighting and the electric flush toilet. An insert converts the beds into a double (east-west), just forward of the console. For me, deciding between the two comes down to convenience and your sleeping preferences. Partners of snorers and/or duvet-thieves might lean to the Savannah's twin singles arrangement. But being able to fall into a fixed bed without having to rearrange squabs and cushions holds plenty of appeal. 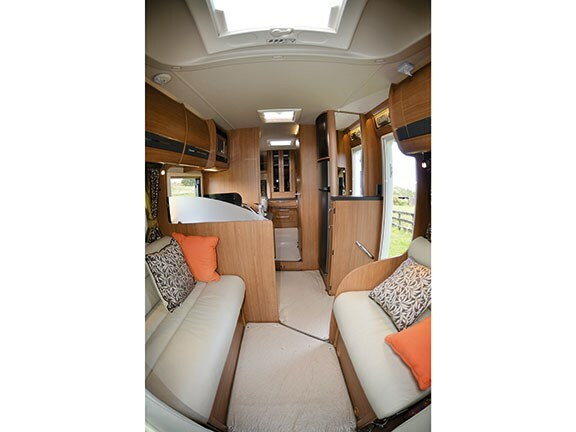 Both vehicles are perfect for a couple, but depending on the body/layout options (and, as always with Auto Trail, there are plenty to choose from), the facing settees up forward in the lounge can be converted into a second bed, ideal for children or visiting friends. 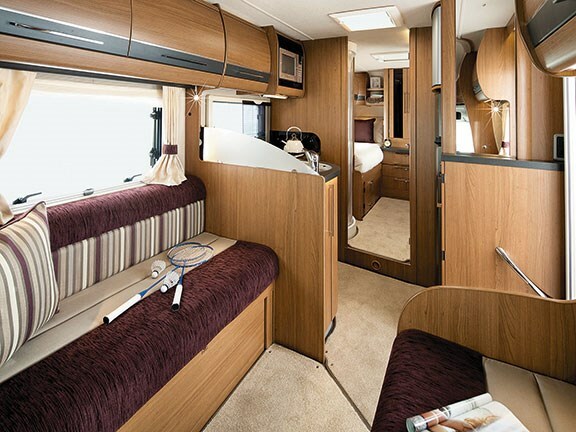 In addition, the Savannah's sleeping accommodation can be expanded by your choice of body style. There are three — Hi-line, Lo-line and Super Lo-line. The Hi-line (which makes the vehicle a little taller — 3.10m) comes with an over-cab double bed. The Lo-line swaps that bed for additional storage, while over-cab storage all but disappears with the Super Lo-line. Body style also impacts on driveability: the Lo-line and Super Lo-line offer more fuel-friendly, aerodynamic profiles. All three are equipped with a large, curved sky-light above the lounge — excellent ambient light — and as it's an opening model it will provide good ventilation on sweltering days. 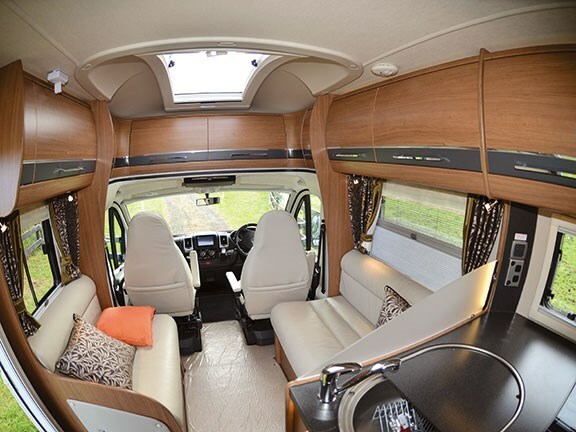 Like all models in the Auto Trail fleet, the Savannah's built on the popular Fiat Ducato chassis and there are three engine options (130, 150 and 180hp). Ours was equipped with the latter — a four-cylinder, three-litre, turbocharged beauty mated to the (optional) six-speed Comfortmatic gearbox. The bigger engine's a sensible choice. The Savannah tips the scales at 3620kg and, with a 630kg payload, you'll enjoy the extra grunt for negotiating New Zealand's hilly, winding topography. The engine purrs contentedly, sweeping the Savannah's along with ease. Ride quality is smooth and rattle-free. The only niggle I have with the Savannah is its split floor level — you step down (about 120mm) from the bedroom into the kitchen area. I'm sure you get used to it eventually, but I can envisage a few accidents as you stumble bleary-eyed through the gloom to make that first pot of coffee. It's a compact but serviceable kitchen. You'll find yourself surrounded by a four-plate hob (three gas, one electric) and oven, an 800-watt Daewoo microwave above it and a round, stainless steel sink and mixer just alongside it. The bench top area isn't vast — though perfectly adequate for a couple's needs. But I like the generous storage system below the sink — it includes a curved locker and a slim, slide-out pantry with baskets. Behind you is a 190-litre Dometic three-way fridge/freezer — and in a nod to the non-techno-geeks, its control panel has been simplified to touch-to-go. It also sports cool-blue interior lighting. There's no shortage of storage space. Above the fridge is a large tambour-door locker, complementing a host of roof- level lockers. I particularly like the drinks locker — a roof locker near the main door that's been fitted with spring-loaded clips for six wine glasses. No rattles and no breakages. 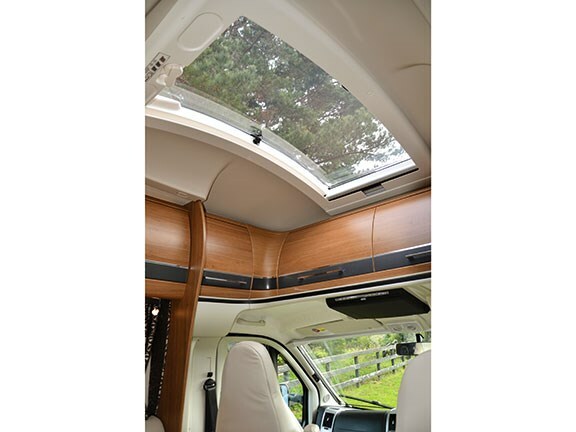 Tank capacities have been upgraded for the 2013 model (140 litres of fresh water and 155 of grey), a change that offers a bit more flexibility for extending your freedom camping window. Two facing settees in the lounge (ours were covered in pale leather upholstery — very swish) provide generous seating, and for meals you have to deploy the free-standing folding table. It lives in a slim, purpose-designed locker next the fridge and, as a free-standing model, it can also be used for al fresco dining. For larger dinner parties, you can also incorporate the cab's swivelling seats into the seating arrangement. Discreet LED lighting makes it easier to create the appropriate ambience. You definitely won't freeze. Auto Trails are built to meet Grade 3 thermal insulation and heating standards. They use a laminated wall, floor and roof construction (40 – 45mm thick) and double-glazed windows. 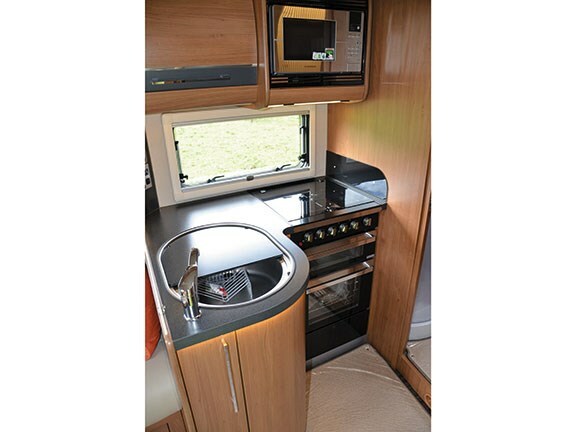 The Savannah also features a 4KW gas/240-volt Truma Combi heater/boiler, and it's ducted to the bathroom. Apart from their efficiency (they deliver hot air and hot water for kitchen/shower) the Combi units are great space savers as they effectively replace two independent systems. 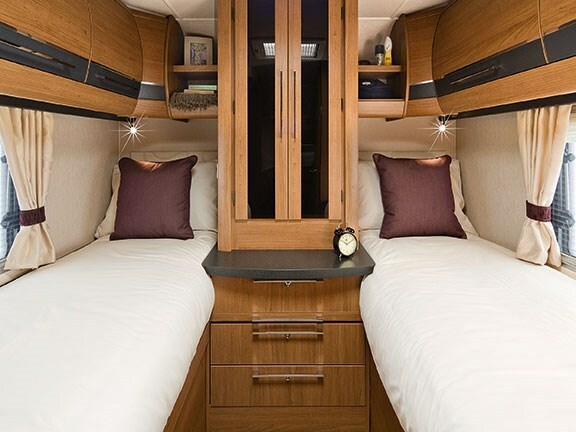 The Savannah's unit is tucked under the nearside bed and doesn't even begin to use all the available space in the locker. Regulating it is via a panel above the entrance door. Auckland Motorhomes, importer of the Auto Trail, tends to tick all the options when it comes to entertainment systems. The Savannah is equipped with the Media Pack — goodies that include a seven-inch touch screen on the dash (it also does GPS duty and is connected to the reversing camera), and a fold-down, flat-screen TV mounted into the cab roof. The CD/DVD player's connected to four speakers (two in the bedroom). There is a spot — pre-wired with aerial and power jacks — to mount a second TV screen in the bedroom. A 100-watt roof-mounted solar panel helps to keep the 100A/hr house battery satiated. In exchange for $166,000 you'll get a well-constructed, stylishly-designed vehicle that's a pleasure to drive. It's a classy motorhome, perfect for an extended romantic getaway – but if you have to take the offspring, there's room to do so. Do NOT feed them to the wildlife. For more information contact Auckland Motorhomes on (09) 294 6500, or email info@aucklandmotorhomes.co.nz.